I had published a post on the Malacca Tree recently. A reader of my blog asked me regarding the tree which I mentioned in my article. I went to the Dutch Square to get more information of the Malacca Tree. There was a Malacca Tree in front of the Malacca Dutch Stadhuys. I discovered there was a mini indicator board on the tree trunk. Without any delay, I shot a few photos for identification purpose. 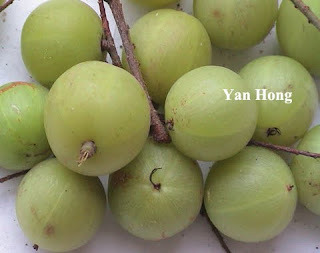 The fruit of the Malacca Tree is light green in colour. 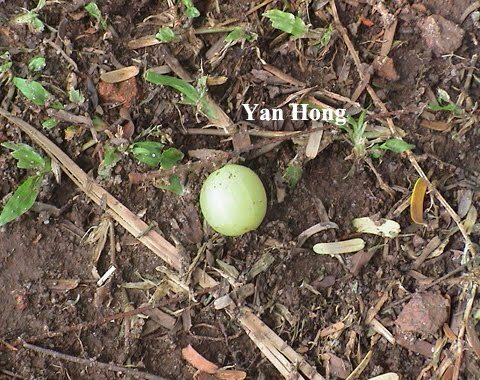 It will gradually turn yellowish when ripe. 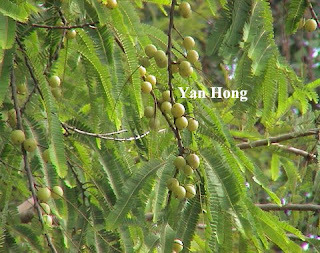 This fruit is also known as the Amla Berry or the Indian Gooseberry. The Malacca Trees are commonly found in India, Sri Langka, Taiwan and Southern China. The relentless wind and rain blew this fruit to the ground. It had no choice but lay on the ground lonely. This reminded me of the sad incident of the Malaysia brain drain. The fruit of the Malacca Tree can be pickled with salt, sugar and spices. The immature fruit is sour and astringent in taste. The fruit is ideally edible when it's translucent. Based on the Wikipedia, the fruit of Malacca tree has many medical effects. It's truly good for enhancing health and longevity. 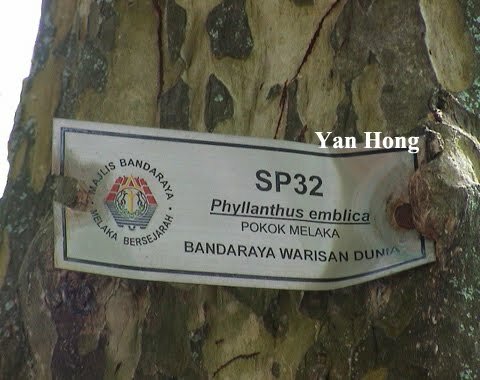 Didn't know Melaka tree has its uses until you posted this up. Also thanks to the person who was able to identify the tree too.